The Swedish M-16 steel helmt, featuring the metal emblem with the three Swedish crowns. 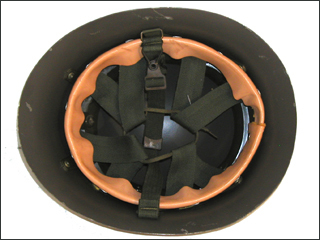 This helmet is sometimes referred to as the "Landstrom Model," and it features a flaired out brim. 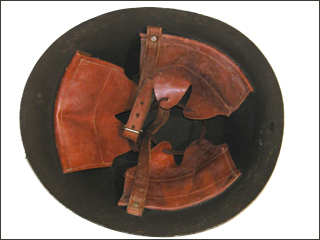 As with most Swedish helmets this examples appears to have been refurbished but never reissued. 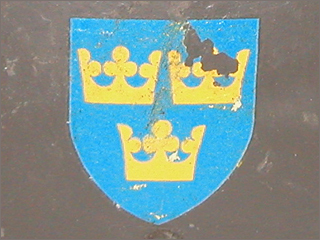 It also features Swedish decals on each side. 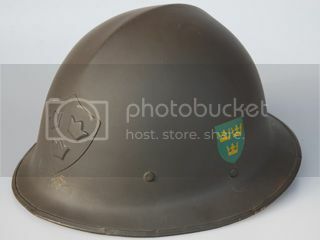 The Swedish Model 1921 helmet features a rounded bowl shell. The front of the helmet features the royal steel crest. 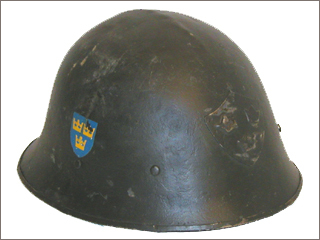 This example features Swedish decals on each side, suggesting the helmet had remained in service following World War II. 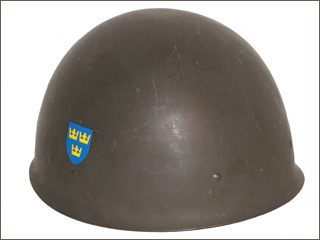 The Swedish Model 1926 helmet features the same basic shape of the previous Model 1921, but without the royal crest or rolled rim. 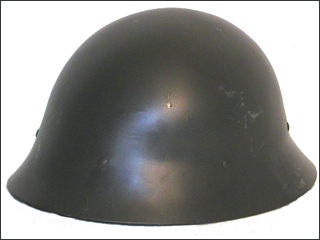 This post-war update of the Model 1926 helmet features the final liner system, which replaced the previous three pad system with one resembling the American M1 helmet liner. 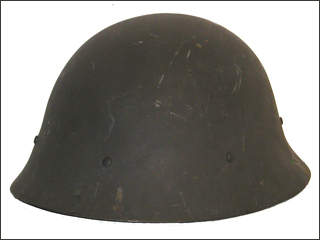 The Swedish Model 1937 helmet featured less of a rim than the previous model. It was updated in 1965 with a new liner system. 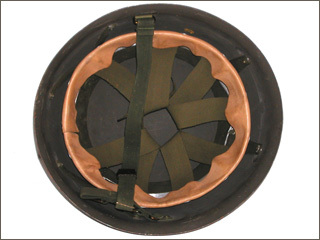 Millions of these helmets were produced until the helmet was removed from service in the 1980s.